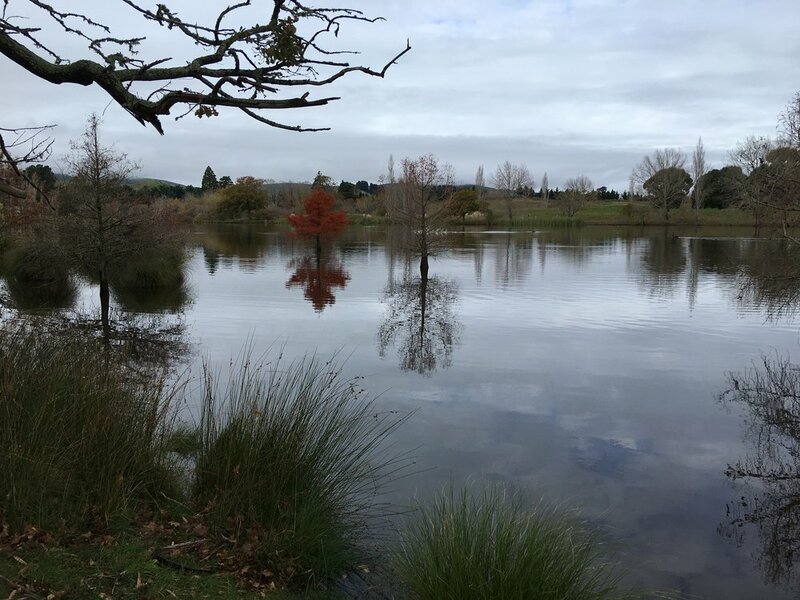 The legacy of Nga Puna Wai Karikari o Rakaihautu explains the history in which Rakaihautu used his ko (akin to a spade) to carve out the principal lakes of Te Waipounamu. Takapō was a traditional mahika kai site used to nourish the people and prepare for the journey ahead, on expeditions to Te Manahuna (McKenzie Basin). And so it was that we came this week, to immerse ourselves in the beauty of this exquisite landscape. We were mesmerised by the vibrant colours of change, the emerald green of deep waters, the pink rose-apricot of the sun setting on our day. It was at Takapō that we heard the news of the passing of Tania Mataki – daughter, wife, mother, grandmother, champion, advocate, wahine toa. Back in 1985 Tania was part of an incredible collective of 25 other Māori women’s groups who came together to stand together against sexual assault and abuse. She has been a towering pillar of strength; always resolute to the kaupapa – to bring out the natural beauty of the whānau to be self-managing, self-determining, self-protecting. Her work with Te Puna Oranga is part of her legacy; her character and her courage will remain in our collective memory as the marks of a great leader. Moe mai e te rangatira. Takapō was a source of abundant kai – of tuna and whio. The richness of mahika kai – and the fragility of our natural environment – was explicit this week as I drove past Mata Kopae enroute to Kaikoura for the Kaikoura Community Wellbeing Roopu. Just over a year ago, Mata Kopae, north of Cheviot, was dried up; its taonga species of tuna dying. But the community stood up – Cheviot locals, Ngai Tūāhuriri, school kids, all on site to rescue the eels stranded by the receding water. The contrast of the photos between 2017 and 2018 demonstrate the heroic efforts of the rescue team transformed the landscape to the state of abundance it should be. Whilst in Kaikoura, I met with Te Tai o Marokura up at Takahanga Marae; to catch up on the awesome work their navigators are doing. It was a wonderful surprise to see this poster size picture of Amelia Taylor. 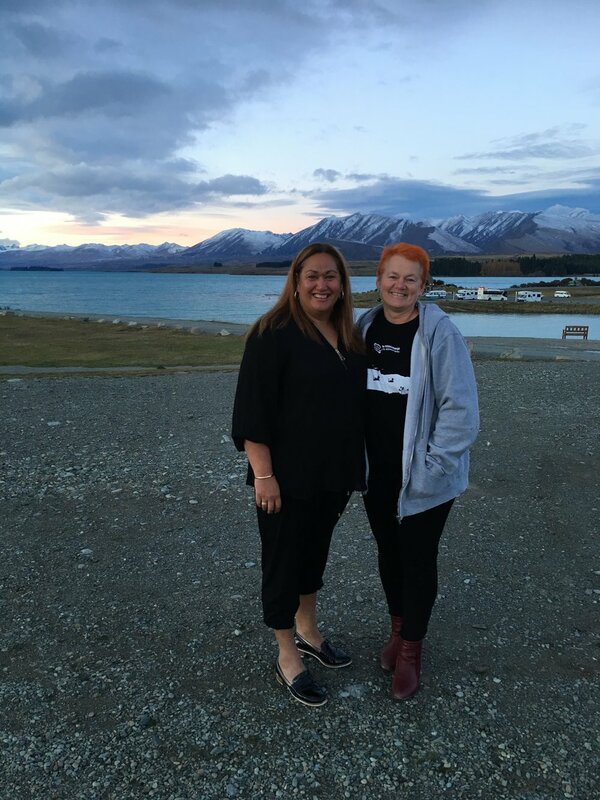 Amelia is part of Te Whare o Maanaki Tangata o Charitable Trust who are building and strengthening relationships with expertise and skills within Kaikōura to build the resilience and wairua of their communities. Te Whare Maanaki Tangata has been nurturing the establishment of maara kai; growing tunnels and creating raised gardens; holding workshops to foster survival techniques and transferring knowledge. Your organising committee are Te Ra Morris (stall holder portfolio), Jodie Palatchie and RaNae Niven (communications/promotion), Gemma McKinney (Maori Wardens – Traffic Management Plan/Security), Johnny Joseph (site management and planning), Lorraine Eade (Funding), Amber Kerehoma-McIntyre (Entertainment) and Lesley Udy (Ancillaries). Wave Eight is on the Road. We have started our Wave Eight promotional roadshow with a couple of days in Te Tai Poutini, listening to various ideas as they have come to fruition. We warmly invite whanau in Te Tau Ihu to come along to any of the scheduled Wave 8 Community Hui listed below and on our Facebook page. 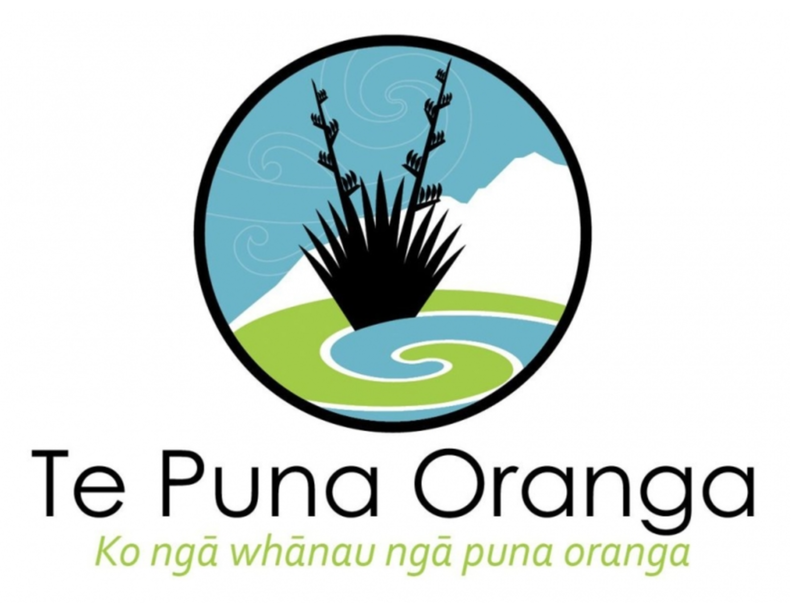 These hui are designed for whānau who want to know more or are applying for Wave 8 funding, to discuss their application kanohi ki te kanohi and for us to answer any questions they may have. We also welcome those who want to learn a bit more about what we do as a Whānau Ora Commissioning Agency for Te Waipounamu. To register or for more information contact: info@teputahitanga.org or phone 0800 187 689. This funding round closes on 30 June 2018. I was in Wellington this week, speaking to the Social Services and Community Select Committee on the Child Poverty Reduction Bill. The questions from MPs on the Committee were very constructive : how could we ensure that targets were positive and strengths-based; was it useful to have an outcomes framework? 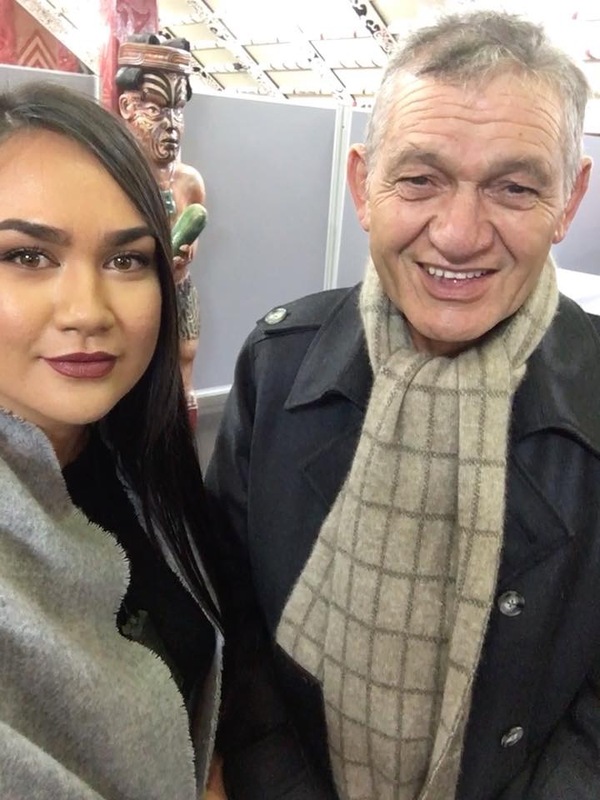 Meanwhile back in Christchurch, some of our team had the honour and the privilege of being part of a visit from Kingi Tuheitia to the national marae, Nga Hau e Wha. We had a wonderful time together, in Takapō, reading the skies and lying on our backs bedazzled by the glory of a million clusters of diamonds sparkling above. We dressed up warm and at midnight were caught in the magic of exploring new frontiers with the help of a telescope. We thought about the opportunities of Whānau Ora (see our word map below) and the preparations we are currently immersed in with our ‘accelerator’ programme, Te Papori o Whakatere. Te Pāpori Whakatere is facilitated by Tū Māia Ltd on behalf of Te Pūtahitanga. Tū Māia is represented by Sacha McMeeking, Cazna Luke and Janyne (Dottie) Morrison. There are three (two day) wānanga run on a Thursday and Friday, over a six-week period starting on the 21st June 2018. All the wānanga are based at Aotahi – The School of Māori and Indigenous Studies, in the Te Ao Marama Building on Arts Drive at the University of Canterbury. Pāpori consists of a cohort of initiatives (ventures/organisations/kaupapa) from throughout Te Waipounamu, so there are plenty of opportunities for cross pollination of learning from other initiatives in the motu. We encourage initiatives to put forward two representatives if they can, to maximise the learning, and increase the impact their people have to create change in and with their initiative and whānau after Pāpori is complete.